Add some style to his new season casuals with this frock from Zero. 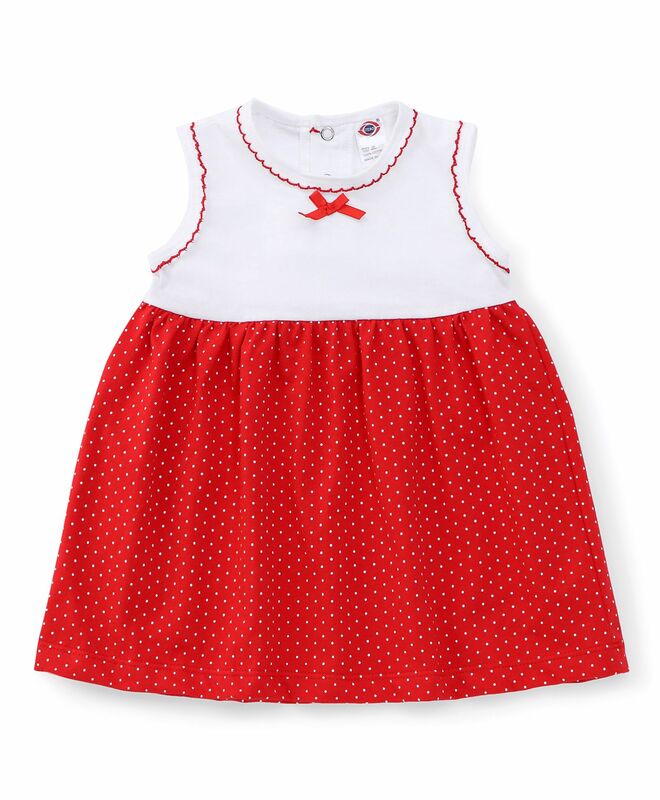 Crafted from soft fabric, the sleeveless frock features dot print and ribbon bow which makes it attractive and stylish. Round neck adds elegance of style to it. Kids will be comfortable all day long. Zeros the best, liked it.